Office contractors are those who take up the interior designing projects to specifically construct a new office or renovate the existing one. Their main focus is to design and manage the process in such a way that it becomes a clean and convenient place for the subordinates to work in. An individual spends 75% of the day in the office completing the assigned job. So he/she would want that the environment in which they are investing so much time should be feasible for them as well. Interior9 is the best office interior contractor in Mumbai. The office environment matters a lot for every subordinate and should be kept in a good condition. Commercial interior designing spaces include not only offices but also retail stores, restaurants, lobbies and other places. Decorating a commercial space is a very large concept and may get ignored by many people but every space should consist of its own significance. This significance can only be felt when we have designed the place with putting in lot of efforts and trending designing themes. In commercial spaces the design should be modern and contemporary instead of being too cheesy. The colours also should be subtle and simple and not too glossy or bright. Nowadays for restaurant designs, people like it more when it is made in an aesthetic way. We aim to provide with the best commercial interior contractor service. We are the best office interior contractor in Mumbai, with lot of knowledge and experience in this particular field. Our aim is to provide our clients with the best service with numerous design options to choose from and to manage the procedure with efficiency. The management team is very well trained to handle projects starting from small ones to big ones. We have a specialization in catering commercial design spaces. Our services include interior designing for offices, restaurants, homes, retail stores and other places. We have a team of experienced designers who come up with the latest designs and before implementation of the designs it gets approved by our clients and then only we go further with the execution process. Interior contractors are the ones who make it a point to make a person comfortable and feel good in the space they are living in. We at Interior9 provide quality in our service and make sure the clients do not face any difficulty thereafter. We are all-rounder as we create, manage, implement and execute all our projects with complete precision. Interior designing is not just a process of planning but is a mixture of many parameters such as conceptual development, space planning, site inspections, programming, researching, proper communication, construction supervision and lastly execution of the approved design. Interior9 is an all-rounder and aims to provide its service in every part of Mumbai. We provide the best service of commercial interior contractor. We provide interior contractor services to the ones who want peace while they are getting their house renovated or newly designed. Sometimes changes are good and every individual needs it after a point of time. Change in living environment is a must as it makes a person feel contented and cheerful. We cater our services to bring that change and aim to provide them with the best with our skills and knowledge. We are the best office interior contractor in Mumbai. We help you to select each and every detail for your space like colour, lighting, material and design. We also suggest you which will look better and make you go according to the whole theme as everything should be in line with each other and not too different. The client has to only give approval for the final designs that are to be implemented and rest can be left at us. We assure we will live up to your expectations and deliver you with the best. As we know, all the commercial spaces are large spaces and can’t be designed and managed on our own. Everyone wants experts to take up the designing and managing task. The environment should also look professional and contemporary if it is for an office design. We at Interior9 provide the most exceptional commercial interior contractor service. Also only an interior contractor will have a better knowledge about this. •	Helps in saving money - People think hiring an Interior contractor can cost them a lot but it is not like that. In fact hiring one can help you to not make costly mistakes and will eventually lead in saving money. •	Professional opinion – Interior contractors give professional views and points which makes it easier to plan and act on the design layout. A professional opinion will help everyone to finish the work faster. 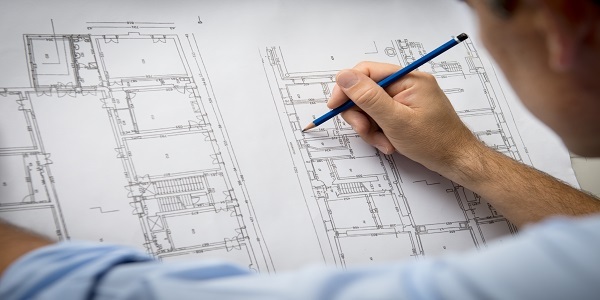 •	Proper planning and budgeting – An Interior contractor helps to plan and budget the whole process in a uniform way. Planning and budgeting should go hand in hand. •	Wide resources available – An interior contractor knows what we need and where will we get it and an interior designer will also have many resources to make it available for us within estimated time. •	A skilled person – Professional interior contractor knows it when something is not looking right about a particular space. They are so skilled in their work that they know the difference of right and wrong quite precisely. One can observe these skills once they hire us as we are the best office interior contractor. •	Follow theme – They also make sure the theme is in continuation for the entire space. As it wouldn’t look good if every space looks different from each other and not in line. Contractors basically manage each and every work that goes on. Why one should choose us? Many a times people think that why I should hire an interior contractor as I can design and manage my space myself but because of this he/she forgets to look into the minute details that are important in the process of Interior Designing. We are the best commercial interior contractor in Mumbai with capable skills and several years of experience. We aim to deliver the best results with our working skills and knowledge.